Welcome to Ironskin. My name is Sebastian. I grew up in Augsburg, Germany. Ever since I like to work with metal, wood and leather. In particular, I’m interested in historic crafts. 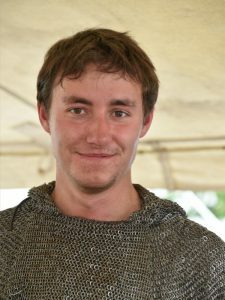 Sharing my passion for making mail armour has helped me to get in touch with archaeologists and historic craftsmen. Thus you can find me at living history events and occasionally on movie casts. More than ever l enjoy to hear about people with similar interest and I enjoy to answer your questions. I also welcome any kind of suggestions, reviews or orders.